I wonder if anyone else in New York City is as absolutely annoyed as I am by the volume of junk mail I’ve received from Bloomberg’s reelection campaign. Granted, I’m a bit jaded. 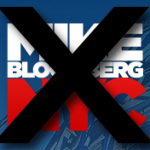 Fundamentally I’m vexed that Mayor Bloomberg, in his second term, decided to abolish the term limits law that “we the people” voted into effect. I’ll give him credit for having guts! 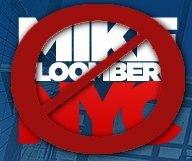 To bulldoze a law that the electorate put on the books and then to try and convince that same electorate to vote for him means one of two things: either Mayor Mike is Hoodini, or people are genuinely senseless enough to accept a politician who has no respect for the electorate he supposedly represents and serves.